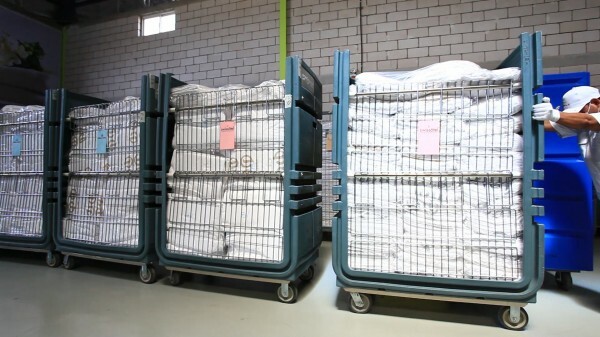 AlRahden Laundry has more than four production plants and with over 60 branches in four cities it serves more than 12,000 customers per day. Services include laundry and drycleaning for garments, hospitality linen, leather and carpets. 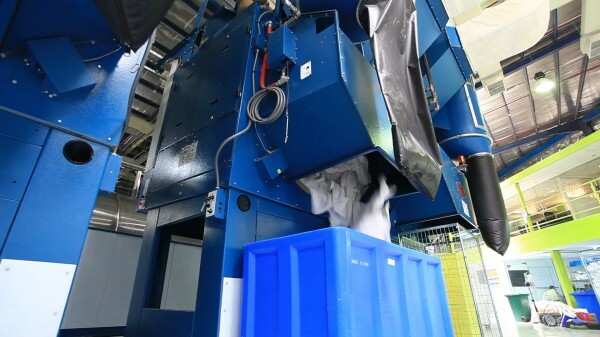 The company has more than 26 years experience and is the preferred laundry provider for government contracts, royal palaces and the large base of high-class residential properties in Saudi Arabia. The expansion of the Holy Mosque in Mecca means that within the next three to five years over 100 five-star hotels will join those already operating in Saudi Arabia. Such high-class hotels need an expert laundry partner to provide full laundering services to a very high standard to satisfy prestigious guests as well as preserving the high quality of the hotels’ expensive linens. 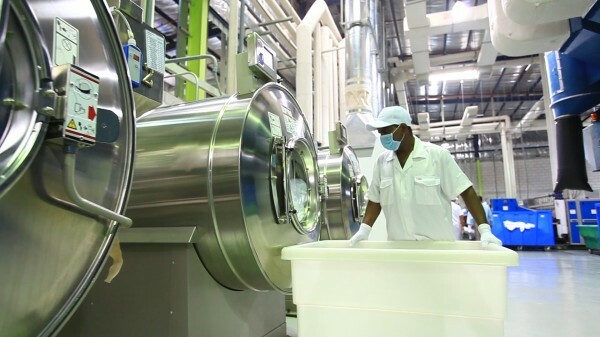 Until recently the region did not have an industrial laundry specializing in this work so the company has built the AlRahden Zamzam laundry to serve Jeddah and Mecca. This has a capacity of 60tons/day and represents the start of an ambitious plan to build several of these specialized industrial laundries in Saudi Arabia reaching a total capacity of 160 tons/day within a few years. AlRahden chairman Mr Abdulaziz Alghathbar chose AlRahden Co, the exclusive dealer and distributor for Milnor, as the partner that would supply the laundry equipment. The new plant was equipped with Milnor CBW® tunnel washers with PulseFlow® Technology and this was the first industrial laundry in Saudi Arabia to install tunnel washers. 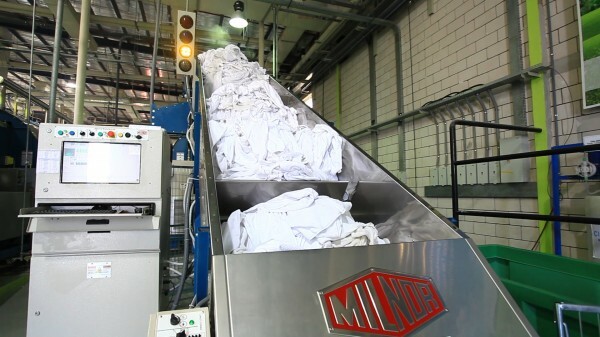 Water is a scarce resource in Saudi Arabia and so AlRahden made a conscious decision to use Milnor’s PulseFlow Technology on account of its extremely efficient use of water within the laundry, which would also minimize the amount of waste-water to be treated after washing. 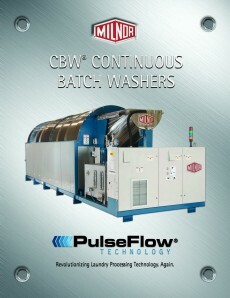 Milnor’s PulseFlow Technology CBW washer (patents pending) retains all the proven features that have made the Milnor CBW washer a market leader for over 30 years. The PulseFlow concept improves on that technology with increased productivity, reduced utilities, more efficient use of chemical energy and its ability to operate with the lowest possible amount of water. PulseFlow Technology combines traditional True Top Transfer with a standing bath and controlled intermittent counterflow in every process module. The system operates without a counterflow for most of each cycle. This creates standing baths that allow the chemicals to do their job without being diluted. Then, for a very short portion of each cycle, PulseFlow brings in a high-velocity counterflow providing the first dilution stage. 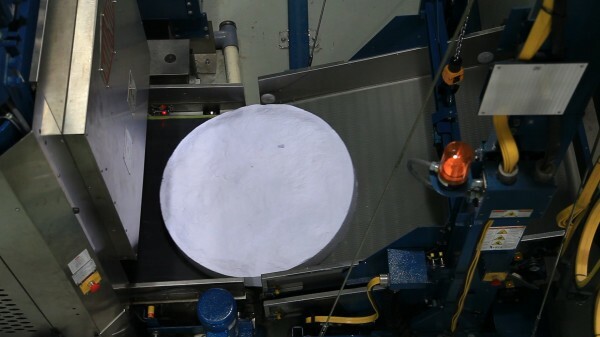 The second dilution stage, True Top Transfer, ensures that with each transfer, the linen moves into water that is far cleaner. PulseFlow does not require dedicated rinse modules so it increases production while also needing fewer modules. The dilution with successive baths, each with cleaner water, is an advantage of the Milnor CBW system. 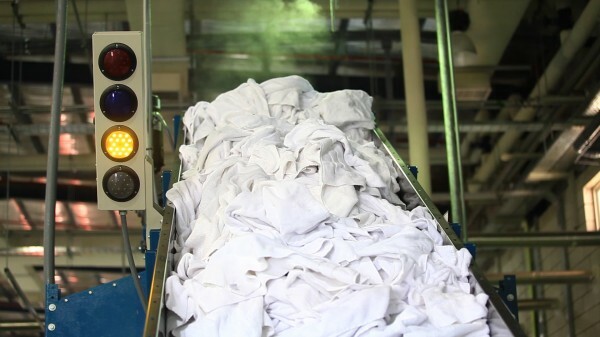 The wash process consists of four elements: Time, temperature, chemicals and mechanical action. These elements loosen soil from the goods and dissolve/suspend it in water but the dissolved/suspended soil must then be removed by dilution in water. 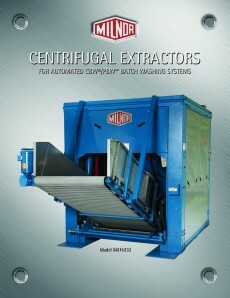 With the unique combination of True Top Transfer and counterflow, Milnor PBW™ washers will dilute better and faster than any others.Milnor’s RecircONE® pump arrangement (patent pending) quickly wets out the linen before washing and is an important feature in the first module of each PBW washer. Additionally, this recirculated water adds a hydraulic effect that speeds up the cleaning action of the chemistry. 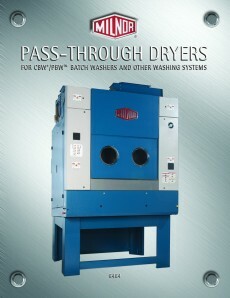 The new laundry is equipped with two parallel PulseFlow CBW systems. 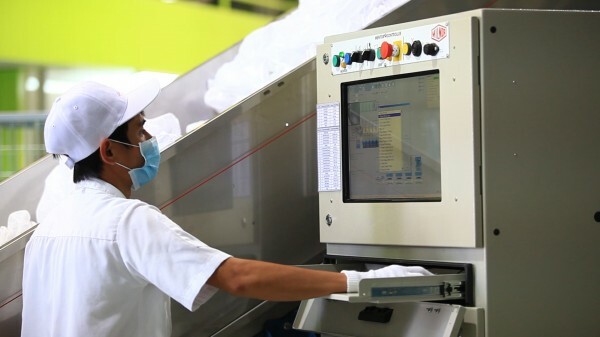 The first system is used mainly for delicate garments. This comprises a five-compartment loading conveyor, a five-module 76028 (110lb/50kg) PulseFlow CBW and a centrifugal extractor. 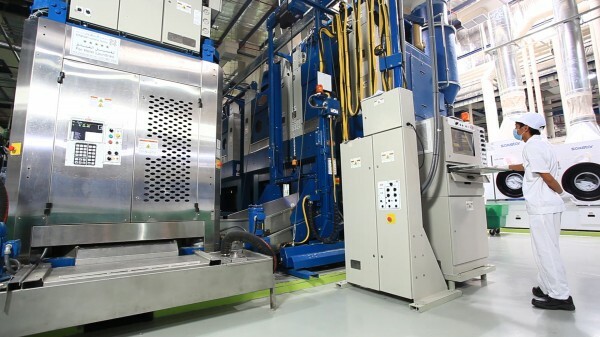 The second system is equipped with a five-compartment loading conveyer, an eight-module 76039 (150lb/68 kg) PBW, an MP1640 press with left discharge and a double-cake shuttle (COSHM112) that feeds four 6458 (140kg), double-batch steam dryers that are used both for full drying and conditioning. The five-module 76028 produces 650kg/hour on average. 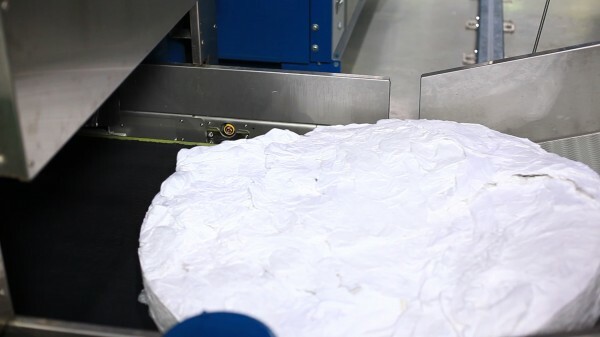 It operates on cycle times of 4.1minutes and water consumption is around 2.5litres/kg for hospitality linen The eight-module 76039 delivers an average of 1.45kg/hour depending on the type of linen (sheets, towels, duvet covers) with an average water consumption of 2.5litres/kg. 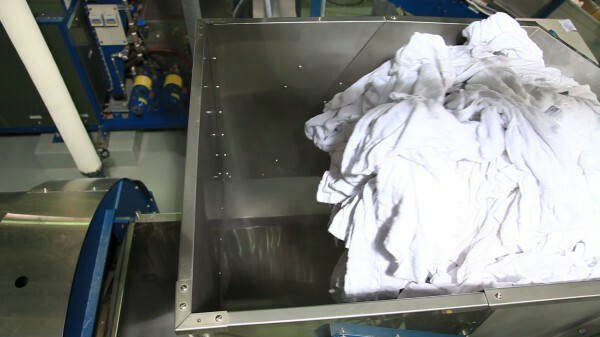 Drying times in the 6458 double-batch steam dryers are around 20 minutes – the high temperature of the outside air in Saudi Arabia means that a five minute cooldown is needed after drying. The installation was organised in two phases by Pascal Robin (Milnor International field engineer) and AlRahden’s on-site engineering team. David Urquhart (Pellerin Milnor’s PulseFlow engineer) then fine-tuned the configuration of both PBWs, working with AlRahden’s chemical supplier. Mr Abdulaziz Alghathbar’s main objective when buying a Milnor PBW system was to reduce water and energy costs significantly, while maintaining a high and efficient production rate. He stipulated that the new tunnel system could not compromise the quality of the wash process or the standard of service to his customers. However, he has been working with Milnor for more than 26 years and his experience made him confident that Milnor would meet his expectations. The two PBW washer lines, one with an extraction press and the other with a centrifugal extractor, gave AlRahden the ability to deal with different types of linen and garments. Mr Alghathbar said that the installation was achieving the results he wanted, saving water and energy as well as producing the clean, bright linen that satisfied his customers. He added that Milnor’s support had been very helpful. 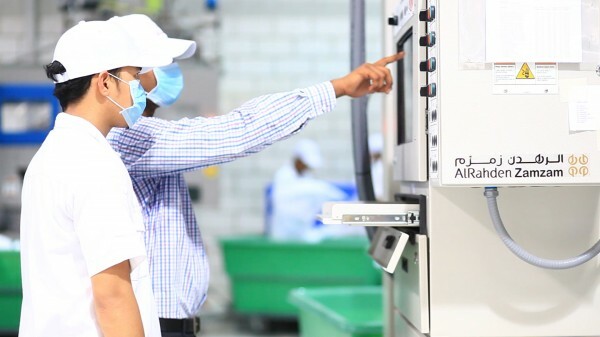 AlRahden has become a reference point for industrial laundries in Saudi Arabia and is the preferred laundry provider for international hospitality chains. Within three months of this specialised laundry opening, AlRahden successfully secured contracts to wash 20tons/day and has been considered as the laundry partner for the new hotels that are being built in the region.